37 Catholic Classroom Crafts. . . .in 20 minutes or less! Did I ever tell you I wrote a BOOK? It’s called 37 Catholic Classroom Crafts. . . in 20 minutes or less! You can buy it here (Amazon), or here (Barnes and Noble), or here (Twenty-Third Publications), or at fine booksellers anywhere. Teachers, Christians, and Families everywhere will love these crafts. In particular, they will love how quickly and inexpensively they can be done. They are the perfect complement to lessons on the Bible, the Church year, nature, the gospels, and Jesus. The detailed directions and illustrations make each craft project simple and easy for both adult leaders and children. Best of all, all of these crafts have a place in whatever textbook series a catechist or teacher might be using and are perfect for children in grades one through six. Also included is a companion CD that makes all components, including worksheets, easy to print and distribute. 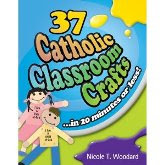 A great resource for every parish faith formation program and THE perfect companion for all teachers, catechists, and families wanting quick and easy crafts that are inexpensive and easy-to-make. Nicole Woodard (Nicki Woo) lives in Texas with her husband and four daughters where she has been a catechist for seven years. 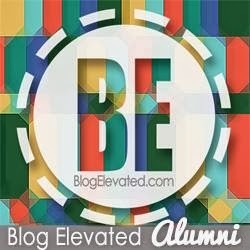 Currently she is a freelance writer and gives workshops on producing 20-minute classroom crafts.